Dancing with the Stars is no longer a fun show to watch. There I said it. 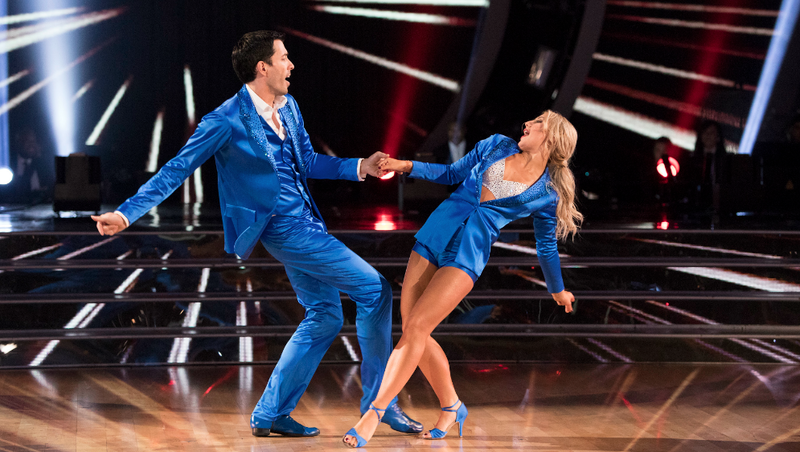 Here’s the crazy part of what I’m about to say — the dancing and all of the hard work that the pros and contestants put in is my favorite part of the entire series. I love watching the celebrities’ journeys and the physical and mental work they put in over the course of 10 weeks. However, DWTS has reached a point where it is overproduced and it has lost some of its authenticity. When the show began in 2005, it was a six-episode summer series that America watched because we thought it was going to be a train wreck. Instead, it started a 25-season phenomenon of sequins, drama and that coveted Mirrorball trophy. The bigger it got, the bigger the production value, and somewhere along the way, the show lost a little bit of its heart. The authenticity is what made this show a success, and sometimes, it’s a bit frustrating to see too much string-pulling behind the scenes. Here are a few of the areas where I think going back to basics would make all of the difference in the world. The show has certain slots that they love to fill, but I would love to see them go outside-the-box for casting. Each season we can predict one football star, one ’90s icon and one Disney star. I long for the days with a soap star because the daytime fans rally around their contestant like no one else. I want to see an athlete from a different sport as well, but it looks like that wish will come through in spring 2018 with the all-athlete spinoff show in the spring. When they come back for a full season in the fall of 2018, I hope to see a wider variety of contestants. I don’t want to be able to anticipate all of the types of celebs they are going to cast. The video packages play before every contestant dances. They make us laugh. They make us cry. And sometimes, they make us cringe. Fans notice when these packages take on a tone because we all know what is coming the following week — elimination. Yes, the celeb might have said something in the heat of the moment, but it was out of hours and hours and hours of footage. If you make the star look like a brat, it’s the end of the road for them. We’ve seen these bad packages happen to Nastia Liukin and Marilu Henner. Viewers aren’t the only ones who get upset at those packages from time to time, Derek Hough mentioned his frustration with this creative editing in his May 2015 TV Guide blog after the Liukin package aired. I am a big fan of shaking up the judging panel. While you have to find the right chemistry with a group of people, mixing it up keeps the show fresh. DWTS has been very loyal to their three judges — Carrie Ann Inaba, Bruno Tonioli and Len Goodman. Goodman has taken time off, and his opinions are missed, but I would like to see the show rotate in qualified dance judges in Inaba and Tonioli’s spots. One season off, one season on — like what The Voice does or American Idol did every few seasons. It keeps us interested in the comments and it keeps the scoring less predictable. Sometimes a theme works really well — like Most Memorable Year and Trios — other times, it falls completely flat. When the show pushes a theme too hard, it forces the pros’ creative hands. They have to sacrifice creativity for complying with a theme, like when they do Iconic Dances or Disney Week. Sometimes, simplicity is best. We are here to see the celebs dance. Just let them get out there on the ballroom floor and do their thing. Sometimes, too much fuss isn’t worth the hassle at all. Season 1 pro Charlotte Jørgensen shared similar sentiments in a recent Dance Network interview. She says the dancing itself is enough to draw viewers in. The part producers need to remember about Dancing with the Stars is that the simplicity of the concept is what makes the show so great. If they let the stories and the journeys evolve naturally, the show resonates authentically. That’s what I want to see from DWTS — bring the fun back again.